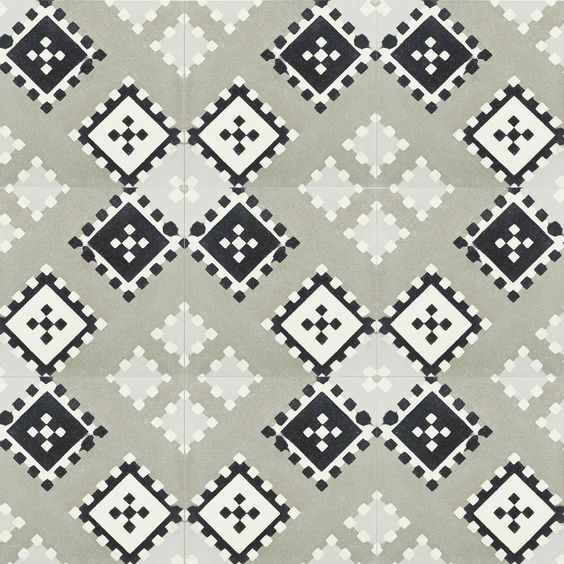 We love the patterned tile trend that's going on these days, but we do like the idea of going a bit conservative on the styles and patterns we use because we wish for every space we design to be completely timeless. 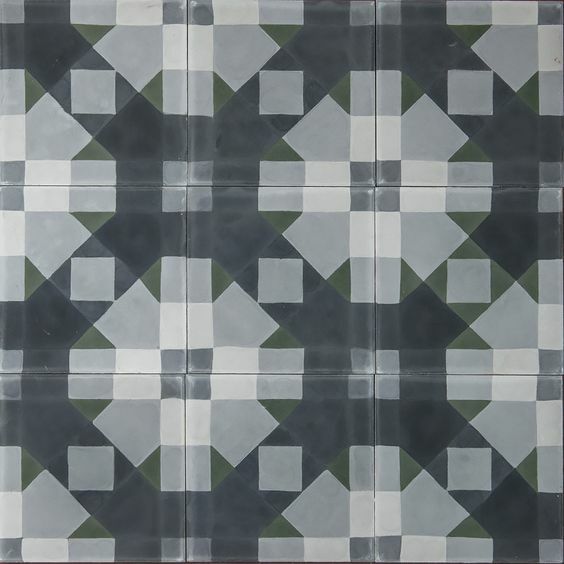 Patterned tiles are not only fun, but full of personality and will certainly inject loads of character to any space. 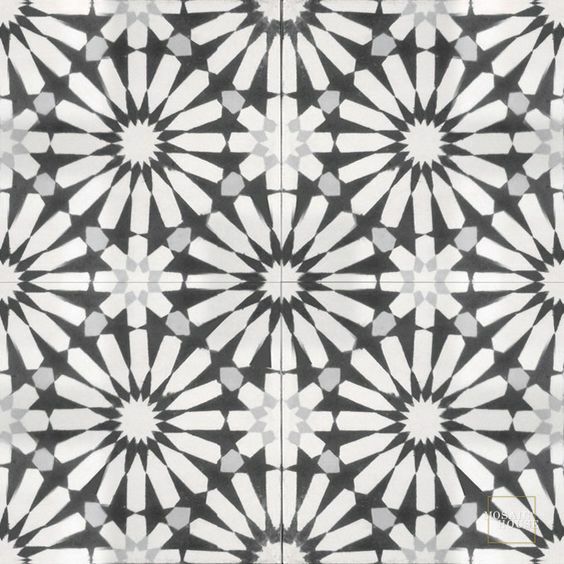 If we are to propose patterned tiles to a client, we will most likely place it in a small powder room, laundry room or any small area of the home or business boutique because I can't imagine filling an entire huge space with it. Don't get me wrong, we absolutely love the look, but for us, restraint is the way to go with this trend. 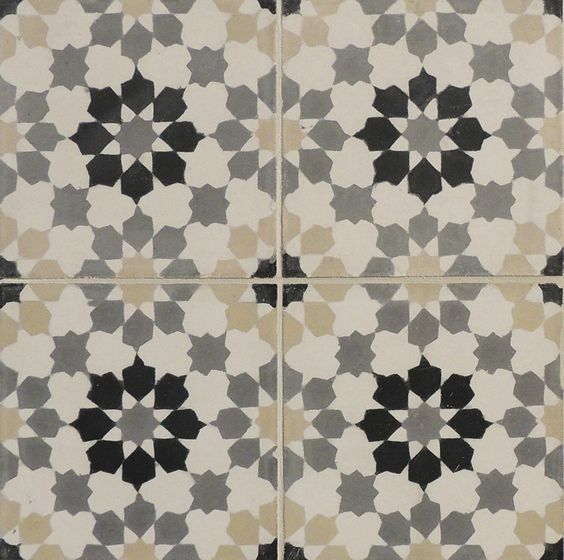 I must admit there are few instances where a patterned tile just looks ridiculously good, no matter the application. Choose patterns with soft and neutral colors for a timeless look. We seem to gravitate towards grays, blues, golden hues, taupes and blacks. Ignore the overly playful designs as these are the ones that may go out of style sooner. Instead, consider patterns with squares, circles and sophisticated graphic pieces. Consider patterns that illustrate a large image, rather than a pattern that features too many small objects as this can really be quite overwhelming for the eye. Of course, it all depends on the application, though as a rule of thumb, it is best to instal tiles where 4 - 8 individual tiles creates a relatively large image. 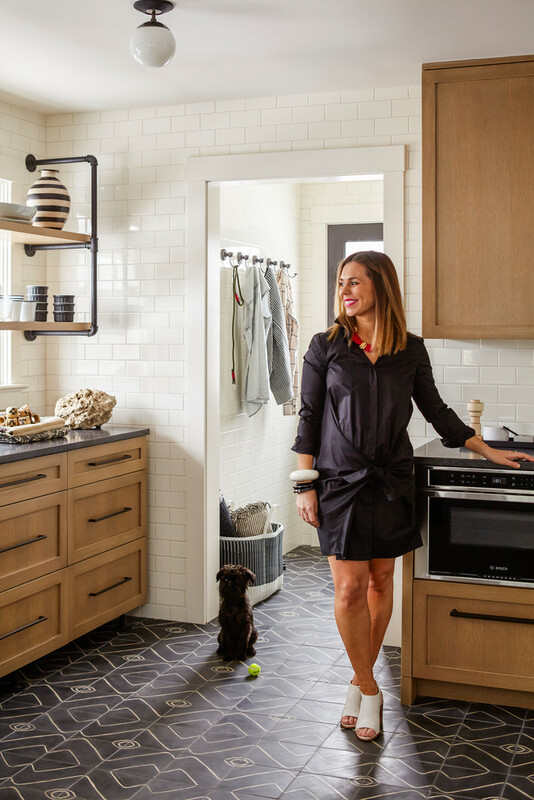 If you manage to balance out the colors throughout the whole space, you may get away with using smaller, tightly packed patterns, successfully. Cortney Bishop - "Uptown Downtown Project"
On July 7, I was walking in Manhattan with some friends and spotted the most adorable little bakery shop called Maison Kayser. I literally ran towards the entrance to stare at the interiors a little better. I think what caught my attention was the French inspired look and those patterned tiles!! Whoa, gorgeous, right? The shop was already closed, but I managed to snap some photos of the interior through the windows just so that I could keep them for reference. I tend to do that whenever I can. Notice how the window sills are covered in what I believe is Carrara Marble and the bistro chairs towards the back. Details like these make all the difference. 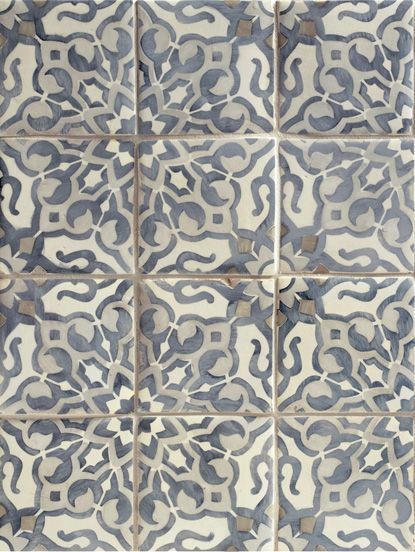 As you'll notice below, our favorite patterned tiles don't feature too much color. They are neutral, sophisticated and will surely work in any design brief we come across. Kindly, note that in order to purchase some of these tiles you'll have to contact the companies directly and/or your nearest showroom. 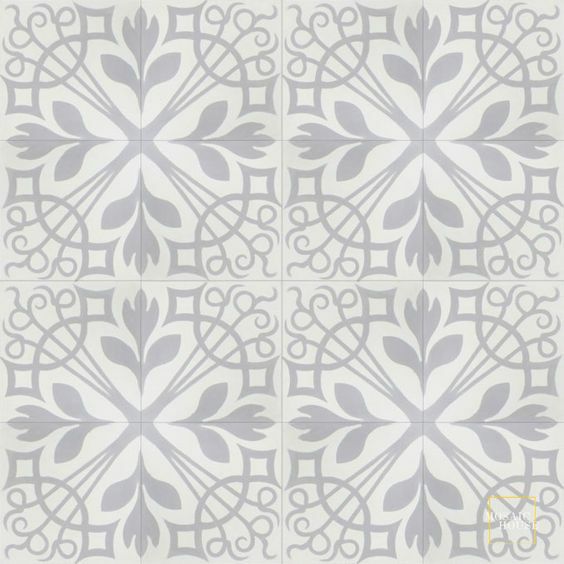 To learn about each patterned tile, Just click on the image to visit its product page and view more details, plus find our Pinterest graphic below for your references. Little Carlow C4-14-24 - Mosaic House.